Sharkey's is a seafood restaurant located in Lander, BC, Canada. This photo was sent in by AM. He asks: "[The urinal at Sharkey's] features a syphonic cistern. There are quite a few of these in Vancouver - are they common in the US of A?" The answer to AM's question is that these are, indeed, no common in the US. 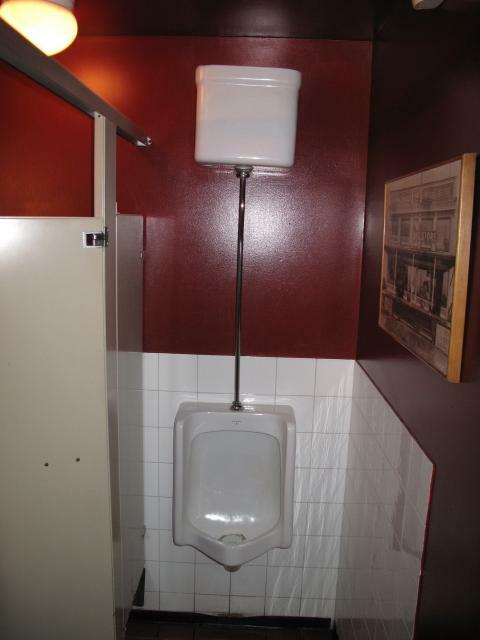 Syphonic cistern-equipped urinals are fairly rare.